With 50 days to go until the IAAF World Indoor Championships Birmingham 2018, the organisers of the event, have unveiled the medals that will be awarded to the top three in each final when the event is staged at Arena Birmingham from 1 to 4 March. The Local Organising Committee (LOC) challenged students at Birmingham City University’s School of Jewellery to design the medals and then selected the winning design, the work of second year silversmith and jewellery student Menna Jones, at the end of last year. 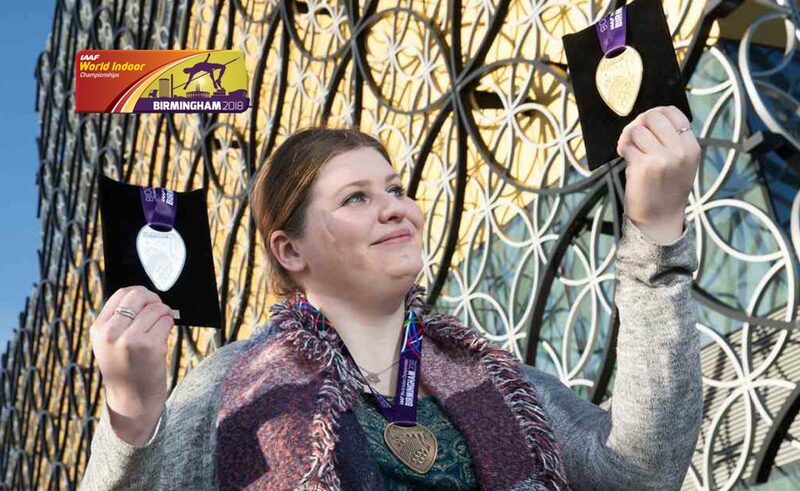 Menna chose to focus on three Birmingham landmarks as part of her design and said: “I’m delighted that my design has been chosen and I can’t believe some of the world’s best athletes will be awarded a medal featuring my work when they come to the city in March. 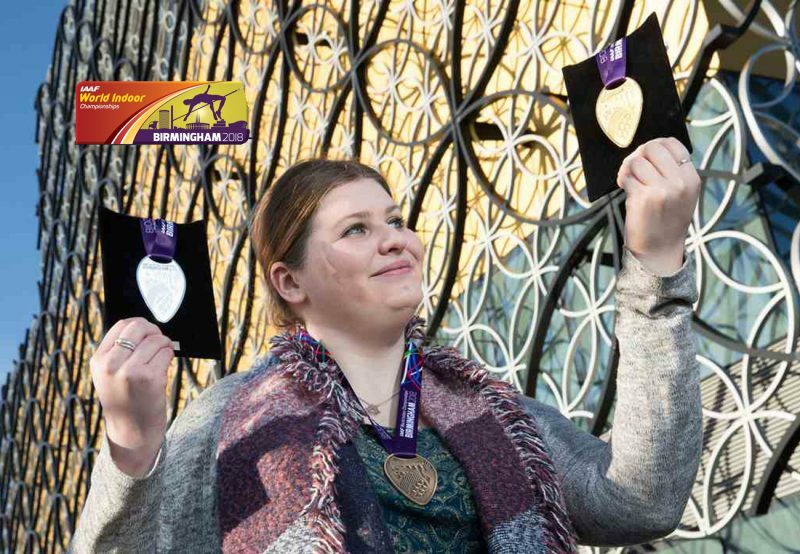 The medal design features three famous city centre buildings, the city’s historic Town Hall, in Victoria Square, and two buildings which have been part of the city’s landscape in more recent years - the Selfridges building, and the new Library of Birmingham, Europe’s largest public library. Cllr Ian Ward, Leader of Birmingham City Council, who is also Chair of the Executive Steering Group for the Championships and was part of the panel who chose the winning medal design, said: “As the host city, for this major sporting event, it’s really important for us to take this opportunity to showcase Birmingham. "By having the medals designed by our very own School of Jewellery, selecting a design which perfectly reflects the wonderful mix of old and new architecture in the city centre and having the medals made in our world renowned Jewellery Quarter, we are doing just that. The first medal ceremonies at the Championships will take place just 50 days from today and around 500 of the world’s best athletes will compete at Arena Birmingham, in what will be the biggest indoor sports event to be held in the city for 15 years. It is also currently the most prestigious event on Birmingham’s sporting calendar before the city hosts the Commonwealth Games in 2022. Preliminary entries show that nearly 150 countries are planning to send teams to Birmingham for the IAAF World Indoor Championships Birmingham 2018. There are six sessions of athletics action speed across four days. Tickets for the Thursday evening and Friday morning sessions are currently on sale, with adult tickets starting at just £20 for both of these sessions. Due to high demand, tickets for the other four sessions of the event aren’t currently available. To find out more, please visit the IAAF World Indoor Championships Birmingham 2018 website.